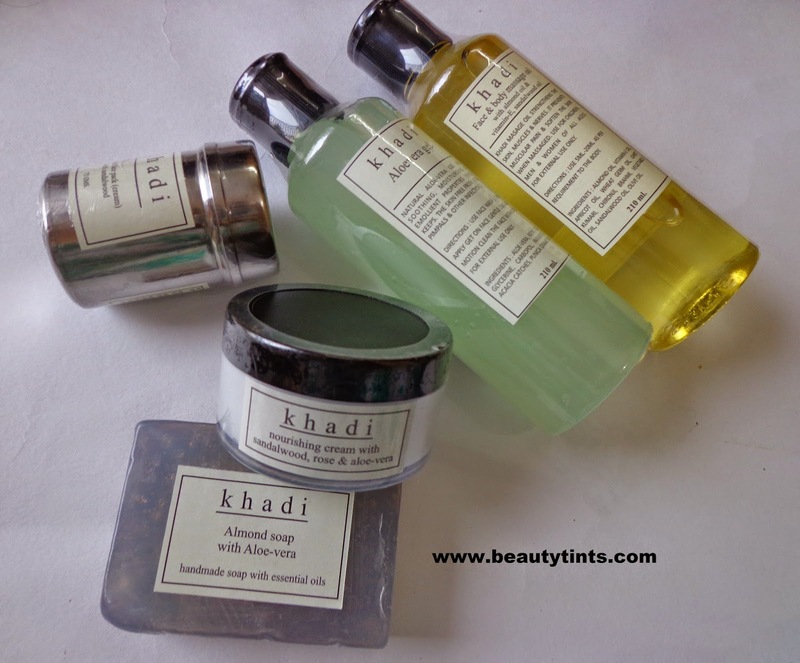 Sriz Beauty Blog: Sneak Peak Of Upcoming Khadi Product Reviews!!! 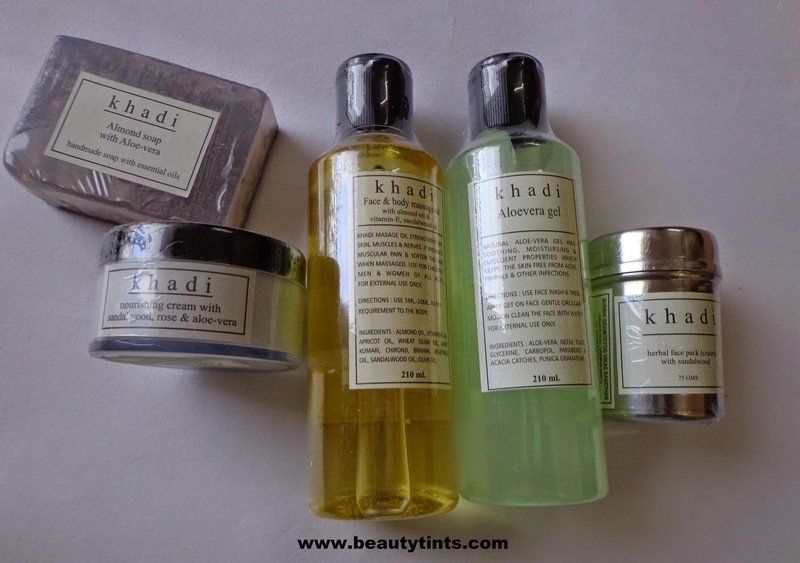 Recently I received a bunch of products from Khadi and a Special Thanks to them for being so kind in sending me the wonderful products.I have been testing them,will review each and every product individually after using them for some more time.Mean while let me show you the products. 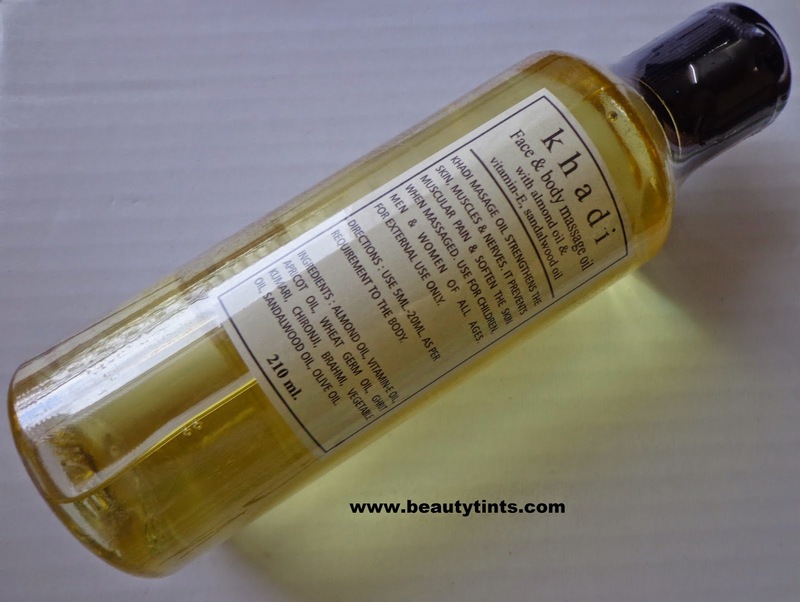 The Khadi Shop was born of a dream to introduce you, the nature loving and sustainable living evangelist to a range of bath and skin care products created on those very principles. We strongly believe that soaps are meant to be handmade with love, and with using only the purest, most gentle ingredients that are suitable for all ages and skin types. It's our job to spread the use of natural and mild Khadi products to all Indians. This allows to be instrumental in the path for change in making our country self-reliant. 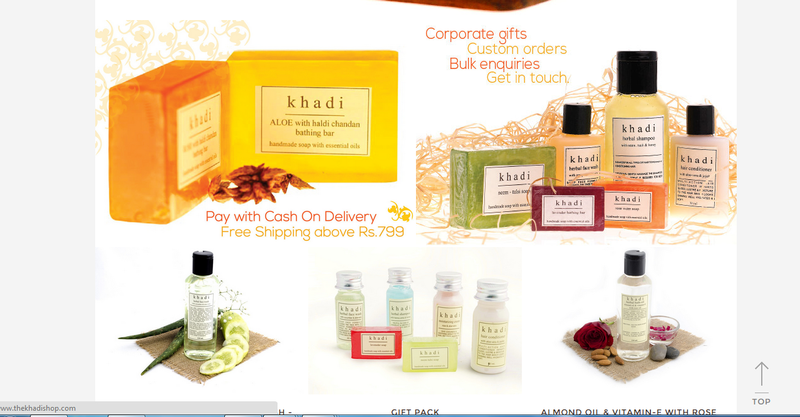 The Khadi Shop range consists of soaps, oils, shampoos, face washes, face toners, creams, bubble bath, conditioner, face packs and scrubs. 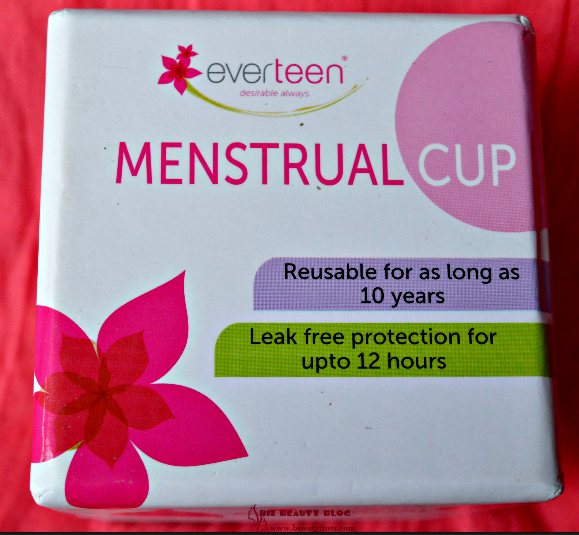 All the formulations are 100% organic and we use no artificial preservatives or chemicals. We would love to hear from you if there's a product type you have in mind that you would like us to create for you. 1) Khadi Aloe Vera Gel : This Aloe Vera gel is a one of a kind product brought to you by Khadi which works wonders on your acne-prone skin. With neem extracts, and natural pomegranate, this gel is ideal for daily use and acts both as an antiseptic and a soothing balm for irritated or healing skin. Suitable for use on burns as well as open wounds.Check out the review here. 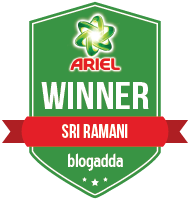 2) Face & Body Massage oil with Almond oil & Vitamin E,Sandal wood Oil : Relax, rejuvenate, revive and refresh your tired muscles with this herbal formulation enriched with the goodness of olive and non-greasy almond oil to nourish and to make your skin smooth.Check out the full review here. 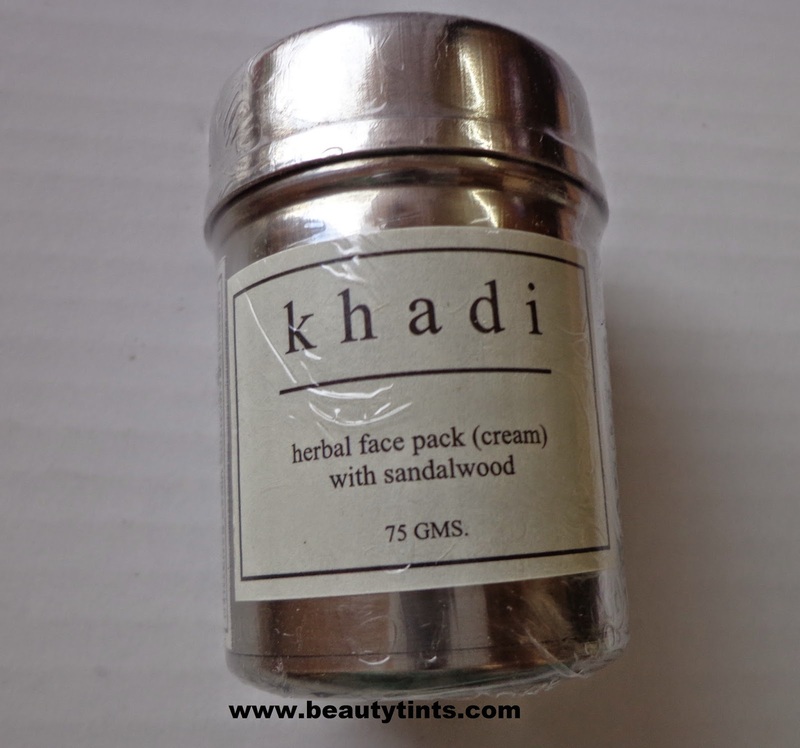 3)Khadi Herbal Sandal wood Face Pack (Cream) : Lush sandalwood cream, known for its calming and healing properties has been carefully created keeping your skin's delicate pH in mind. Use twice a week to help undo unfair sun damage and restore and soothe your skin to it's former glowing glory.Check out the complete review here. 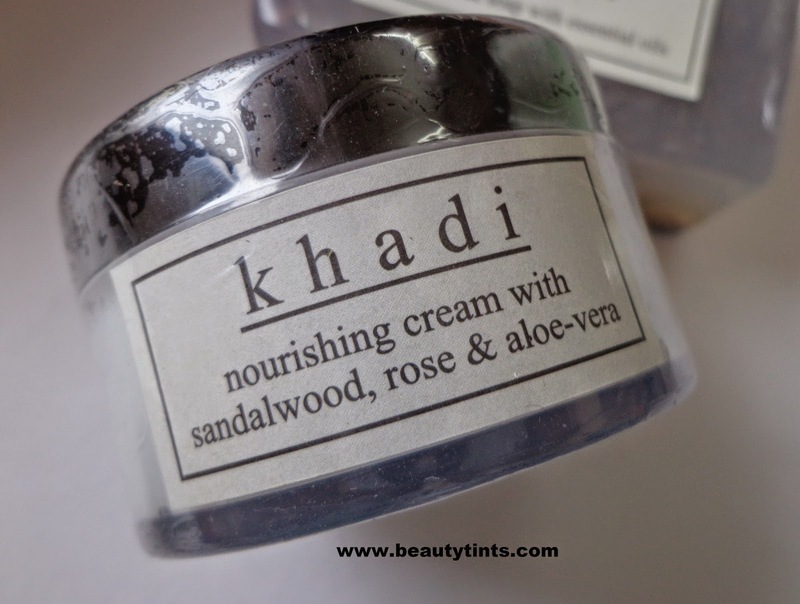 4)Khadi Nourishing Cream with Sandalwood,Rose & Aloevera : Scar fighter sandalwood, with soothing rose, cooling and healing aloe vera for gorgeous skin that breathes, feels supple and healthy, and glows. Use generously as an overnight cream before your dose of beauty sleep or during the day.Check out the review here. 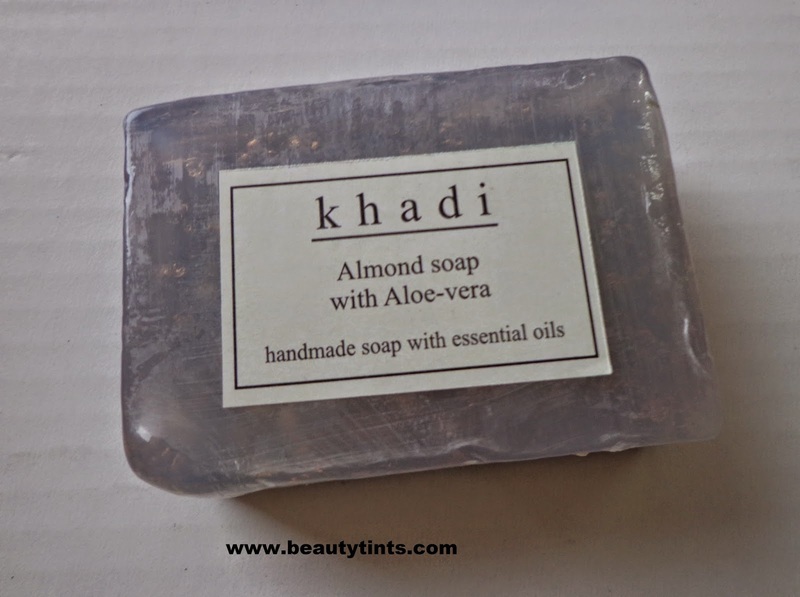 5) Khadi Almond soap with Aloe vera : Get a boost of Vitamin E, rich in antioxidants with the brand new Almond soap. Almond also reduces fine lines and wrinkles on your face, making you look young and youthful. Olive oil leaves you feeling fresh and rejuvenated.Check out the full review here. These are the wonderful products I received and will review each one of them in the coming weeks! 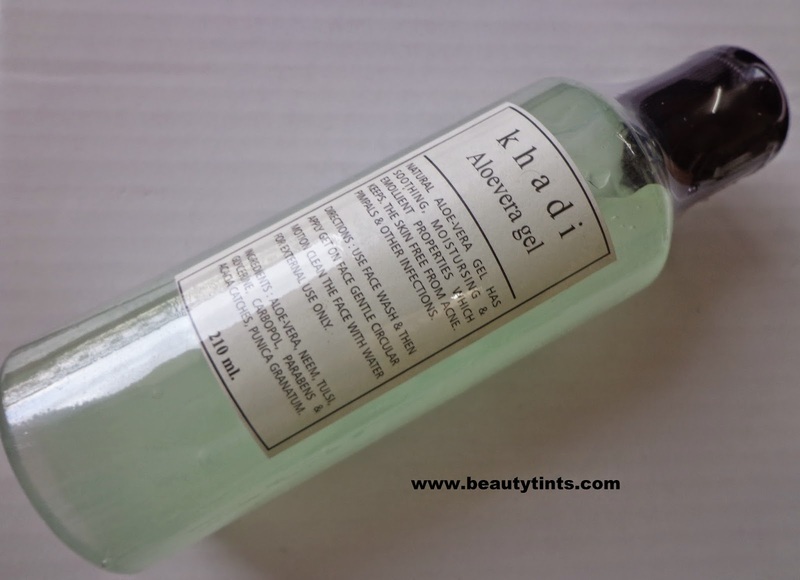 Did you tried any of these or any other Khadi product? Which is your favorite one?